Hello everyone! 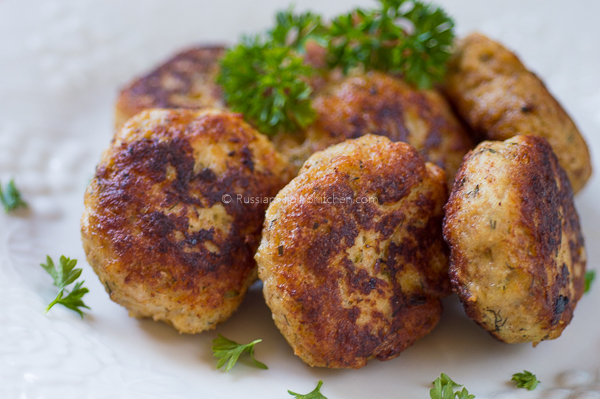 Today’s post is one of my favorite Russian meatballs recipe called chicken kotleti. They’re super moist and tender and can be enjoyed either warm or chilled. 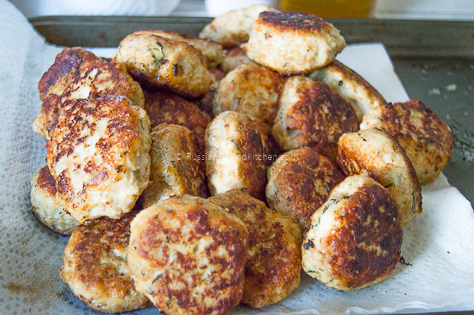 Kotletis don’t look like traditional round meatballs, but more of flattened round meat patties or hamburgers. They’re traditionally made from ground beef, ground pork, or combination of both. Yet chicken, turkey, and even fish can also be used. 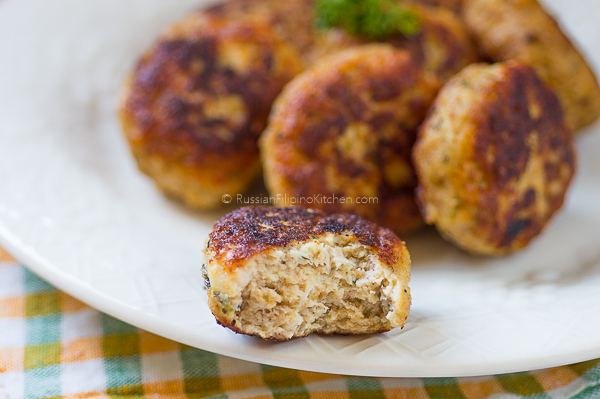 I prefer using ground chicken for kotleti as they have less fat and cook much faster. This recipe is adapted from my husband’s beef kotleti recipe which I am going to share in another post some time in the future. 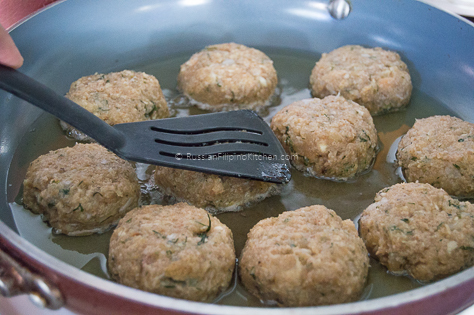 The trick to soft, moist meatballs is using some kind of a starch mixed with liquid, called a “panade”. 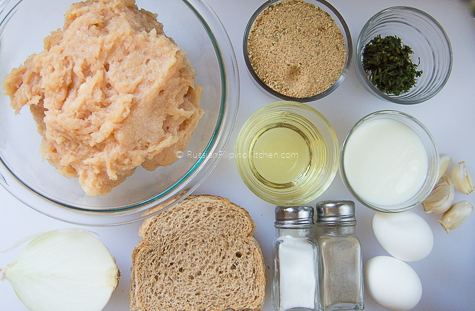 In this recipe, I use wheat bread and whole milk soaked for several minutes before adding it to the rest of the ingredients. 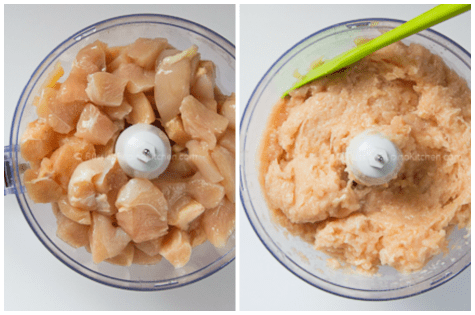 I grind my own chicken using a food processor, and also grated or finely chopped the onions. 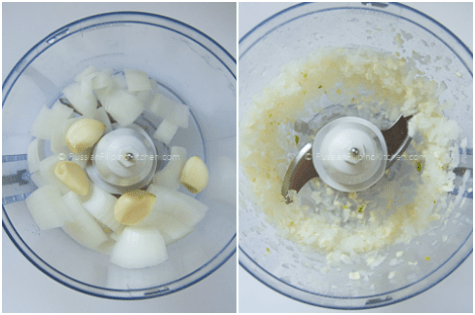 I noticed there is no significant change in taste or texture prepping the onions this way, so feel free to adapt either method. 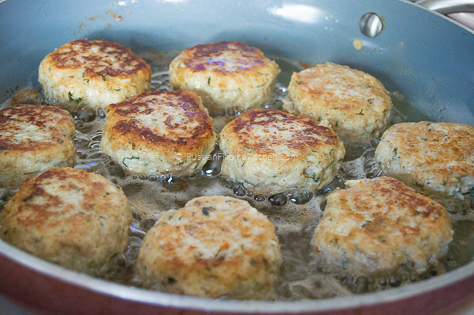 Most cooks shape their kotletis in flat, rounded shapes and coat them with breadcrumbs before frying. 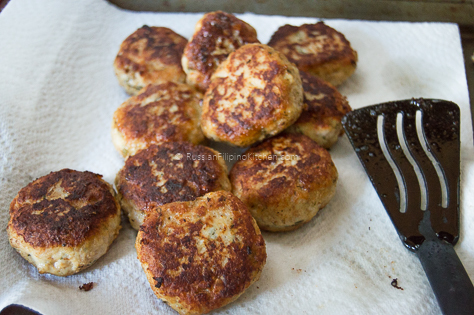 I prefer combining the bread crumbs with the rest of the ingredients and shaping the mixture into rounded, slightly flattened patties. 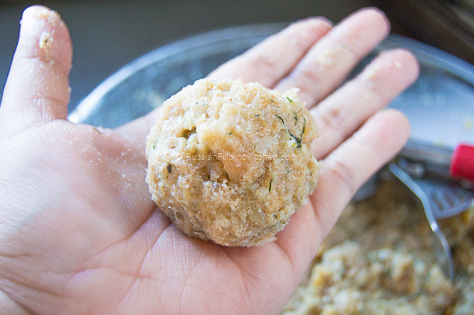 Using an ice cream scoop is great to measure and make uniform-sized meatballs. 1. In a small mixing bowl, break slices of bread into small pieces and soak them in milk. Set aside for about 5 minutes. 2. 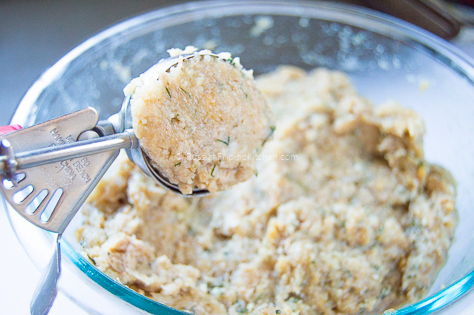 In a large mixing bowl, combine soaked bread and the rest of the ingredients. 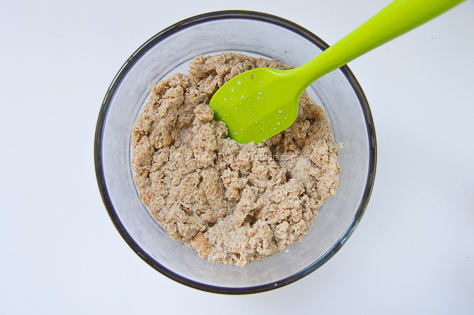 Mix thoroughly using a fork, spatula, or your hands (the best tool!) 3. 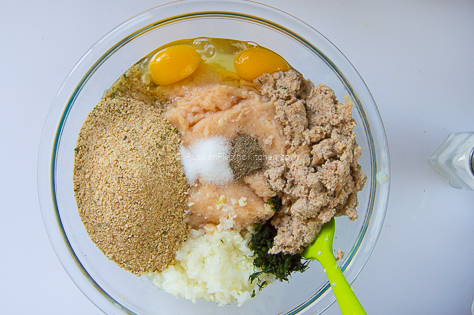 Scoop out mixture and form into a ball. 4. Place on a tray in a single layer. Repeat step 3 until mixture is used up. 5. Heat up a frying pan over medium low heat. Add the oil and place meatballs into the pan. I use a 12-inch skillet so I can easily fit 8-10 pieces of kotleti in it. Do not overcrowd the pan. 6. 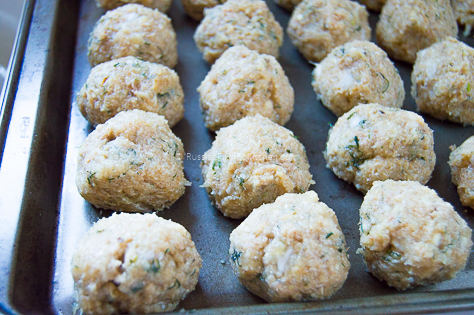 With a flat spatula, gently flatten each meatballs. 7. Fry kotletis on medium low heat 4-5 minutes on each side until golden brown. 8. Drain on paper towels to remove excess oil. 9 Fry up another batch until you’re done. 10. Serve warm or chilled.